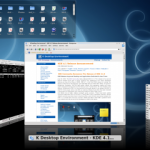 Here’s some good news, KDE 4.2 has just been released! I’ve been running the 4.2 beta’s and release candidate on Ubuntu Intrepid 8.10 for a while and it’s streets ahead of 4.1 (which is a great relief). Upgrading now as signed packages for Intrepid are in the PPA.. 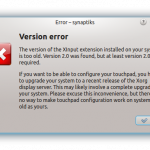 This entry was posted in KDE, Linux, News by Chris Samuel. Bookmark the permalink.